What are the most appropriate ways to care for patients at the "end of life" and how do we negotiate the legal complexities associated with medical decisions that impact on the timing of a patient's death? How do we most appropriately involve patients in decisions about their medical care? What sort of operations are best for repairing the skin after removal of skin cancers and how should we evaluate this? How can we improve the professional behaviour of doctors through undergraduate medical education? I studied pure mathematics and theoretical physics before medicine and perhaps there learned to think critically. Doing "science" should always involve being the devil's advocate against yourself. But I particularly enjoy taking a maverick view in research, questioning 'established' views that have been reached too quickly. My only goal in research is to have made a valuable and honest contribution. The big steps forward inevitably are built on a lot of smaller contributions. Dr Charles Douglas has mixed research with a career in teaching ethics and law and clinical practice as a breast cancer and melanoma surgeon. As such his research interests have been diverse and somewhat ad hoc as he has tried to answer questions as they arose. He commenced medical training at the University of Newcastle in 1985, and completed his B Med with honours in 1990, having also completed a Bachelor of Medical Science in transplantation with first class honours, further strengthening his research background. His publications include clinical trials (on the diagnosis of appendicitis, and on information transfer in a clinical setting), basic science research (on the biomechanics of skin flaps), sociology (on attitudes to and practice of euthanasia and palliative care), and on the philosophy of intention. He won several surgical research prizes for his work on appendicitis. His PhD on end of life decision making was awarded in 2012, and he was awarded two early career researcher grants for that work. After completing his surgical training he accepted an academic position at the University of Newcastle as a Lecturer in Clinical Ethics and Health Law. He has continued in this role while developing his surgical expertise in the areas of breast cancer and melanoma surgery. 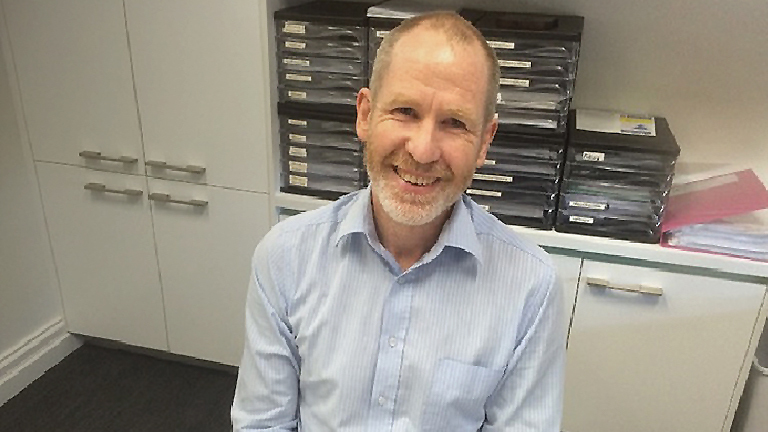 He now works as a consultant surgeon at the Breast Centre, Gateshead, and at the Newcastle Melanoma Unit, and as a VMO surgeon at the Calvary Mater and Lake Macquarie Private Hospitals. In 2008 he was promoted to Senior Lecturer. His doctorate, submitted August 2011, was on 'end-of-life decision making' and incorporated 5 papers, two of which related to moral psychology/philosophy, and three of which were sociological studies of doctors, in both qualitative and quantitative research traditions. I am an investigator on an NHMRC partnership grant exploring "advance care planning" and involved in supervising research higher degree students in a variety of projects involving informed consent.